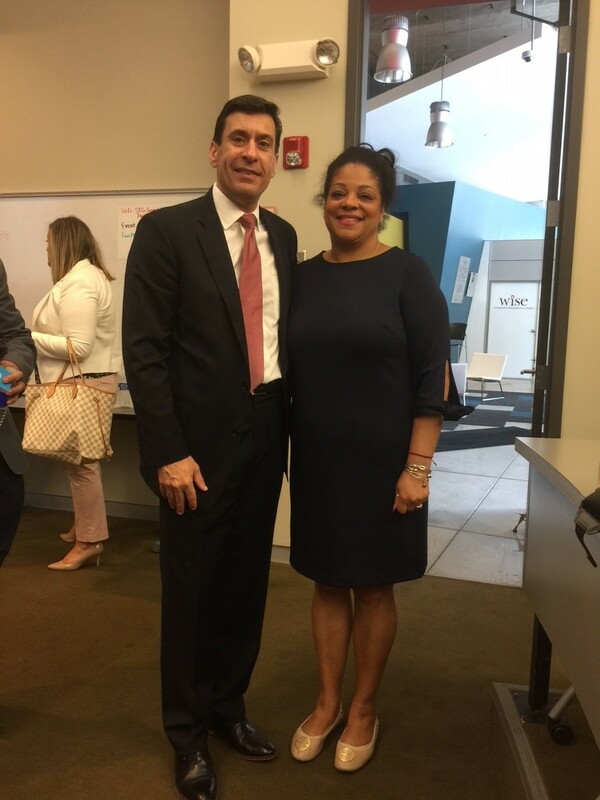 On Friday, June 8, 2018, Christopher B. Fisher, President of NYSWA and Managing Partner at Cuddy & Feder, LLP, presented at an event titled “5G Small Cell Technology in Central New York: Moving Forward.” The event was hosted by Assemblymember Pamela Hunter, 128th Assembly District, in Syracuse, New York and brought together State, County and City officials and key members of the wireless industry. Chris presented on the status of wireless networks, coming 5G technologies and the infrastructure needed to make it all work, including small cells, and enhance economic development and digital inclusion in the Central region. The presentation was followed by a roundtable discussion facilitated by Chris to collaborate on ways stakeholders could meet various interests on the path to 5G wireless services.